Our latest Igloo Book Buzz selection, WARNING LIGHT, David Ricciardi’s debut spy thriller, was published by Berkley on Tuesday, April 17, to widespread acclaim. The book takes off with a bang, as new covert operator Zac Miller literally flies under the radar on a job for the CIA. Zac finds himself on a mission gone wrong, and soon embarks on a globe-trotting epic in order to clear his own name and set the record straight before he can be captured by the Iranian government—or a litany of enemies he makes along the way to get back to his bosses and save his own skin. [caption id="attachment_111649" align="alignright" width="225"] Tom Colgan and David Ricciardi[/caption] Major pre-publication buzz for WARNING LIGHT started early. Quotes began lining the inbox of Berkley VP, Editorial Director Tom Colgan after a mere weekend of sending out the manuscript. 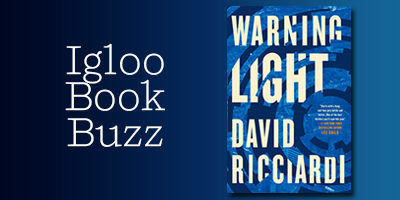 In a matter of days, a number of the most revered thriller writers were raving about WARNING LIGHT—from Steve Berry to Larry Bond and Lee Child, who predicted that WARNING LIGHT was “one of the best thrillers you’ll read this year.” “In the end, we got quotes from every single author we approached,” said Colgan, “some of which included beauties like ‘Delivers nonstop action from the opening pages (Larry Bond) and ‘Starts fast and never stops’ (Alex Berenson).” He describes WARNING LIGHT as “the propulsive energy of Mark Greaney’s The Gray Man matched with the intellectual-in-over-his-head appeal of Tom Clancy’s classic hero Jack Ryan.” [caption id="attachment_111651" align="alignleft" width="200"] David Ricciardi and J. Todd Scott[/caption] Jon Land of the Providence Journal calls WARNING LIGHT “a tour de force of suspense and international intrigue in the best tradition of Frederick Forsyth, Robert Ludlum and Daniel Silva. A must for all political thriller fans,” and Kirkus Reviews declared it “a Ulysses-like odyssey.” Parade magazine featured an exclusive excerpt from the book, which went live online on publication day. 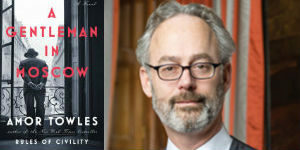 The Real Book Spy named WARNING LIGHT on the “Twenty Must-Read Thrillers Hitting Bookstores This Spring.” National radio host Hugh Hewitt interviewed David about WARNING LIGHT, which was Hugh’s February Book Club selection; those interviews aired over several days surrounding publication. He also took part in a national radio satellite tour on April 18. 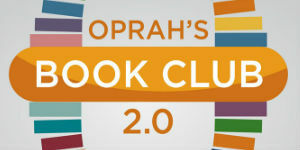 [caption id="attachment_111652" align="alignright" width="200"] David Ricciardi and Joseph Finder[/caption] David went on a national multi-stop tour to promote the book with special guest moderators at each location. On April 17, David did a publication day event at Mysterious Bookshop in New York City, in conversation with New York Times bestselling Berkley author Mark Greaney. David discussed WARNING LIGHT and his writing process with his editor, Tom Colgan, at R.J. Julia in Madison, CT on Wednesday, April 18. Bestselling Dutton author Joseph Finder moderated a discussion about WARNING LIGHT during an event at the Brookline Library hosted by Brookline Booksmith in Boston, MA on Thursday, April 19. On Friday, April 20, David headed to Houston, TX, for a conversation with Dutton’s own Meg Gardiner at Murder by the Book. Finally, David concluded his tour on Saturday, April 21 with an event at the Poisoned Pen bookstore in Scottsdale, AZ, where he was joined by Putnam author and federal agent J. Todd Scott. [caption id="attachment_111653" align="alignleft" width="200"] Meg Gardiner and David Ricciardi[/caption] Said David of the tour: “For a debut novelist, the prospect of a book tour was both exciting and daunting. I was thrilled to have the opportunity to promote and discuss my work, but with no backlist and no name recognition, I was concerned about drawing readers to the signings. The Berkley publicity team structured a five-city tour with my editor and four well-known authors which drew on their appeal to lure potential buyers into the stores. Armed with thoughtful questions written by the publicists, my editor and the other authors kicked off each event. In every case, the attendees actively and enthusiastically followed with questions of their own, leading to lively discussions and enthusiastic buyers. Hats off to Loren Jaggers and Tara O'Connor at Berkley for coming up with a creative and successful solution for a new author!” Berkley is thrilled to give away five copies of WARNING LIGHT to the first five colleagues who e-mail Tara O'Connor (toconnor@penguinrandomhouse.com).